So says Mac Slavo (www.SHFT.com) in edited excerpts from his original article*. We have read about one Chinese counterfeiter openly bragging about producing 100,000 fake U.S. Silver Dollars per year, and that’s just one counterfeiter. We fear these Chinese counterfeit gold and silver coins, or bars, could be a multi billion dollar a year business, and we greatly fear many innocent investors could be taken to the cleaners…[Indeed, we] fear is there are probably tens of thousands of investors in the United States who have been duped. Gold and silver remain one of the few alternative investment methods to preserve wealth during crisis scenarios…[such as] inflation or government instability, but taking extra precautions now is absolutely essential to ensuring your wealth is protected when it comes time to sell. Don’t assume that the dealer you are working with is legitimate, and even if they are, it is possible that they themselves have been duped by a counterfeit. Undertake gold and silver acid tests. Try pre-1965 silver products. They call it junk silver… Half dollars, quarters and dimes minted prior to 1965 contain 90% silver and are worth well more than their face value. 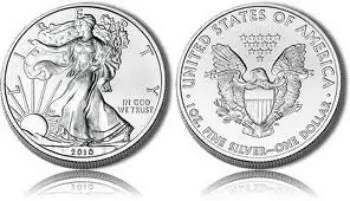 While Chinese counterfeiters may be producing silver eagles, bars and other mints in mass quantities, they will likely shy away from US coin products for a couple of reasons: 1) why mint a fake quarter when you can mint a fake silver eagles worth significantly more? 2) minting fake US coins is a Federal crime, and while the Chinese may not be worried to much about being investigated by Secret Service, pressure from the U.S. may force China to act against counterfeiting, something the Chinese knock-off artists would like to avoid. Pre-1965 silver coins, in our opinion, are the only option for those making purchases on auction sites. 1. It’s Silver’s Time: Sales of Silver Coins Soaring; Price of Silver About to Soar! 5. Americans: Which Gold/Silver Bullion Assets are Permitted in Your IRA? Next U.S. Has 3rd Largest Natural Gas Field in the World – Which Other Countries are Included in the Top 10?